I didn't want to post this under the Asylum Reviews tag since it's not really going to be a review, instead I just wanted to write down some thoughts and opinions of what I've just played, however over the course of writing all of this I've realised I've gone way more reviewer-y than intended - so an Asylum Review it shall be! We got Shenmue I & II almost two weeks ago now, and I've so far completed the first one. 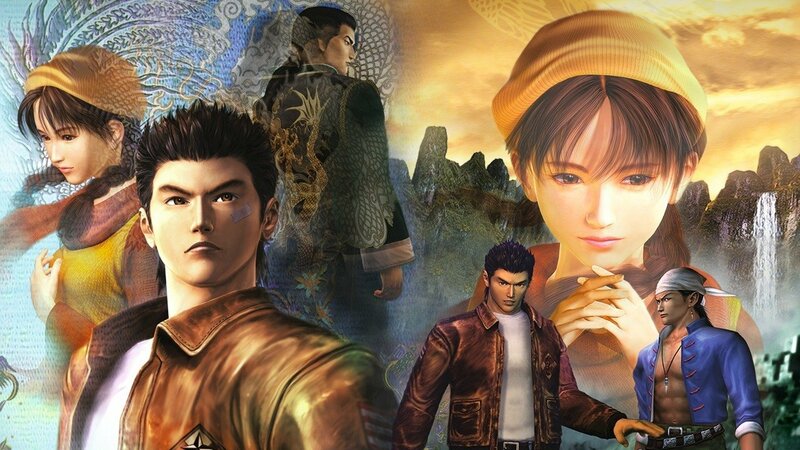 Prior to the re-release, I'd never played either game at all, whereas Shenmue stands out as one of Allan's all time favourites from growing up - so much so that we've pledged $600.00 to the Kickstarter for Shenmue III. I know that this re-release isn't in any way a full remaster, so I wasn't expecting it to be shockingly modernised, but a few things definitely threw me off when I first started to play - one of the main ones being the voices. Dialogue in the game is naturally very reminiscent of games from that time period, with very defined statements being used repeatedly (Ryo saying "I see" for the 1000th time just about killed me), but this was to be expected. If you go back and play almost any other game released around the same time, there's a lot of similarities, but that's not what grabbed my attention the most, it was the muffled sound whenever someone speaks. It's like the voice actors were holding the top of the microphone as they spoke into it, or that we as listeners are covering our ears as they speak, completely warping the sound to the point that it's quite unnatural to hear. I must admit though, that after a few hours in the game I did grow used to this sound, although it still stands out when I play something else beforehand. Background noise helps with this muffled voice acting too, as the noise of the streets and vehicles passing by or music blasting from Tom's hot dog truck disguises the sound slightly - which made it all the more obvious when I encountered a bug that rendered all background noise completely silent. I had no music playing, nor any environmental sounds - just the muffled voice acting whenever I interacted with another character (or was late coming home and triggered Ryo's "I should go home now" line). I don't know what causes this bug, and I don't know how to fix it. I tried various suggestions from Reddit, from other players suffering similar issues across all platforms. Nothing seemed to work, and then suddenly the sound was back. Such relief! 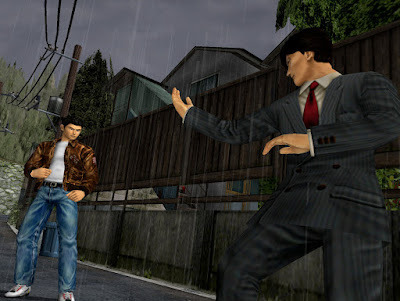 It felt so weird to be running around Dobuita and not even hearing the occasional slap of Ryo's feet on concrete, so to hear that again was like music to my ears. I realised how all the little noises built up this living city, and it made me really appreciate it after having to sit through silence. Whilst checking out Reddit for advice on how to solve my bug, I came across a wide variety of people with loads of different issues with the game, including a few game-breakers. A patch was released for PC (possibly on consoles now, too) which semi-resolved some issues, but this was still worrying info for me, at this point only half-way through the game. As of completing the game, I've only had one other issue (that I can think of) and that may not even be down to the game itself - but there's a high chance it is since I'm not having this happen with any other game... My account is not the main account on our Xbox, Allan's is the one set up to Auto Sign-In. When I log in as myself, and then open Shenmue, it's causing the screen to go black, and a jarring electronic buzz to occur (through the speakers, not from the Xbox itself), before the Xbox shuts itself off. The controller, as always happens when you turn the Xbox off from the button, keeps trying to connect for a bit before eventually turning off, but when I try to turn the Xbox back on (using the controller), the pairing between the two seems to be lost. I then would have to hard-reset the Xbox, then turn it back on again as normal - this time allowing myself to successfully sign in and boot up Shenmue. I don't know what could be causing that particular issue, and I dread to think the damage that it may be causing the Xbox since this is happening every time I play - but funnily enough, only on my account - not on the Auto Signed-In account that is Allan's. 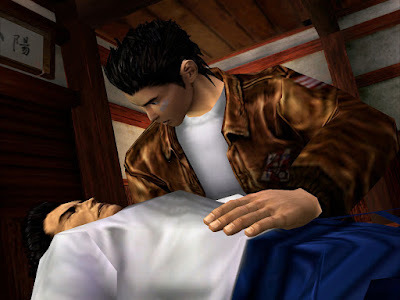 Allan always talks about how Shenmue was his first foray into a video game where the world feels alive, and I did get a lot of those vibes whilst playing. The birds gathering together in the street and flying away when you run close by, the people walking all around just minding their own business, the moment Fuku-san walked into the house as I stood in the hallway, before grabbing what appeared to be a rake or broom, and walking back outside (this blew my mind a little, as not many games back then effectively pulled off characters entering and leaving certain areas), it feels like even if you weren't playing all of the characters would still just be going about their lives. The story kept me interested and coming back to play more, and I've completed it without feeling like it was too much effort. 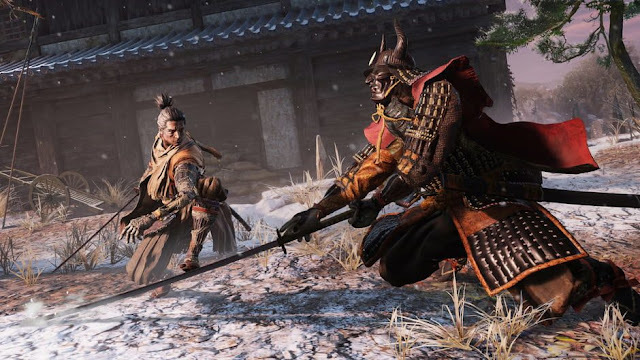 The fighting was fun and whilst some characters did take me by surprise, I had done enough training to not feel overly stressed out by any of the bigger fights. I am now in the process of trying to rattle through the final couple of achievements I missed in order to not have to turn the game on from my account again, lest I cause the Xbox to explode or something. As someone with no nostalgic ties to the game, I did definitely enjoy it, but the bugs make me feel that now I've completed it (aside from the achievements I'm working on), I don't care if I never have to load up my Shenmue I save file ever again, which is a shame. I will however move on to Shenmue II in the hopes that the game will be less buggy, and that I might enjoy it even further. *and by that we mean wait until the bugs are sorted! Have you played Shenmue yet? What did you think of it?